Antitrust law was devised at the end of the 19th century. Since then, courts and regulators applying antitrust laws have developed a wide range of appallingly anticompetitive doctrines. Many of those doctrines tended to protect businesses from competitive forces, rather than the other way around. Nor were the stakes trivial: As Robert Bork insisted in his seminal work, the Antitrust Paradox (1978), many of these doctrines were "ultimately incompatible with the preservation of a liberal capitalist social order." In recent years, antitrust enforcement by state attorneys general has seen a dramatic rise. 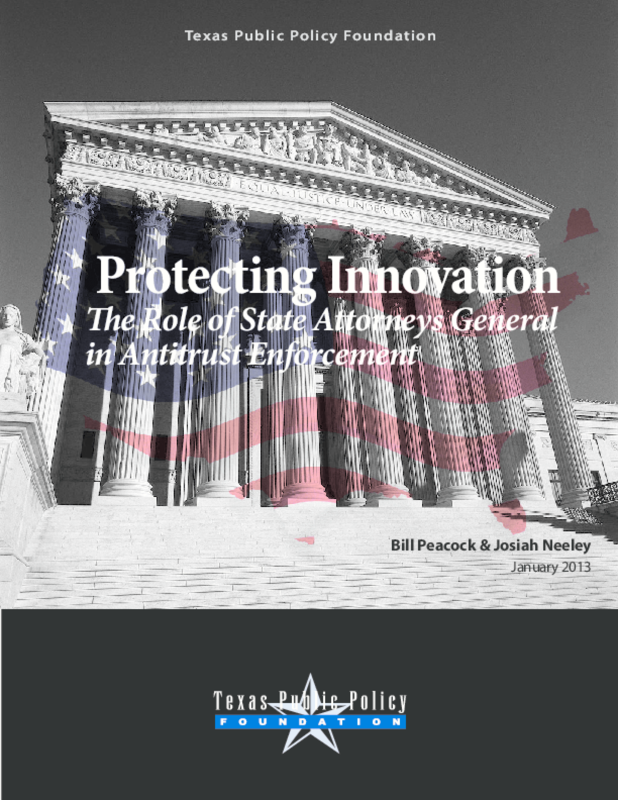 This raises several concerns: first, the potential of geographic bias that comes from state attorneys general protecting the interests of business or consumers in their states from competition; second, the potential for increased litigation and harsher penalties; and third, the duplicative nature of state antitrust enforcement, particularly in the context of parens patriae suits and pre-merger reviews. These concerns suggest that increased state involvement in antitrust enforcement could have significant negative consequences for competition and innovation. This danger is particularly acute in high-technology markets, where antitrust enforcement is already problematic in several ways. Consumers benefit from increased efficiency, but efficiency can increase market share, which in turn can trigger ill-advised antitrust enforcement. The complexity and rapid innovation of high-tech markets increase the danger of erroneous and damaging antitrust enforcement. These challenges are exacerbated by state involvement in antitrust. While we see a clear role for the states in enforcing antitrust law in local commerce, it is much more difficult to discern a role for the states in transactions that are in many cases not only national, but international. Instead, the involvement of the states in these markets is more likely to lead to an expansive regulatory regime that inhibits -- rather than enhances -- competition and innovation. This is particularly true in the case of e-commerce. This paper examines the role of states in antitrust enforcement and the impact this role can have on competition, particularly in high-tech markets. Part I provides a short summary of major antitrust laws. Part II looks at the different ways in which antitrust law is enforced. Part III provides a closer look at the role of the states in antitrust enforcement, focusing on Texas. Part IV sets forth a law-and-economics analysis of the main types of cases that are typically the subject of antitrust enforcement, with a special focus on the activity of state attorneys general. Part V provides a close look at antitrust enforcement in high-tech markets. Part VI makes recommendations for improvement. This paper argues for a continued effort to understand how markets work, and for revision of antitrust laws and judicial doctrines in light of those insights. We argue that the scope of state antitrust enforcement should be reduced, particularly with respect to interstate and high technology markets. Specifically, we recommend that states' ability to bring parens patriae suits under the federal antitrust laws should be repealed, and that state involvement in premerger review should be curtailed. We also find that where the federal government has settled an antitrust matter under investigation, continued state involvement makes little sense, and in fact may stifle product development, investment and innovation. Copyright 2013 Texas Public Policy Foundation.